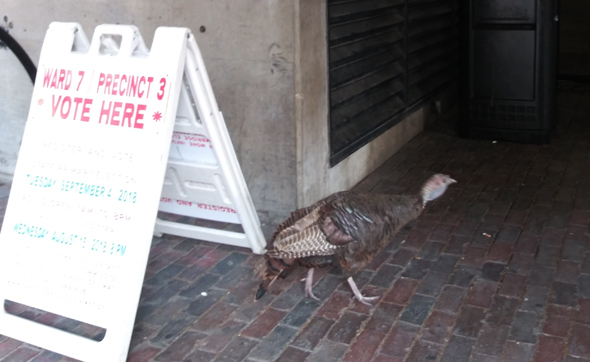 You really have to be careful in South End alleys these days - at least if you're no larger than a squirrel or mouse. 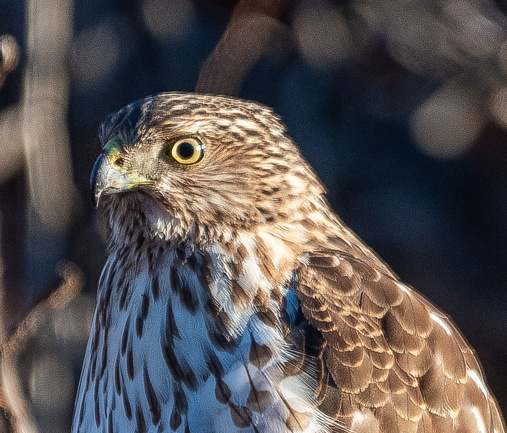 John McLachlan reports this young Cooper's hawk keeps visiting the alley out back of his South End home. Copyright John McLachlan. Posted in the Universal Hub pool. 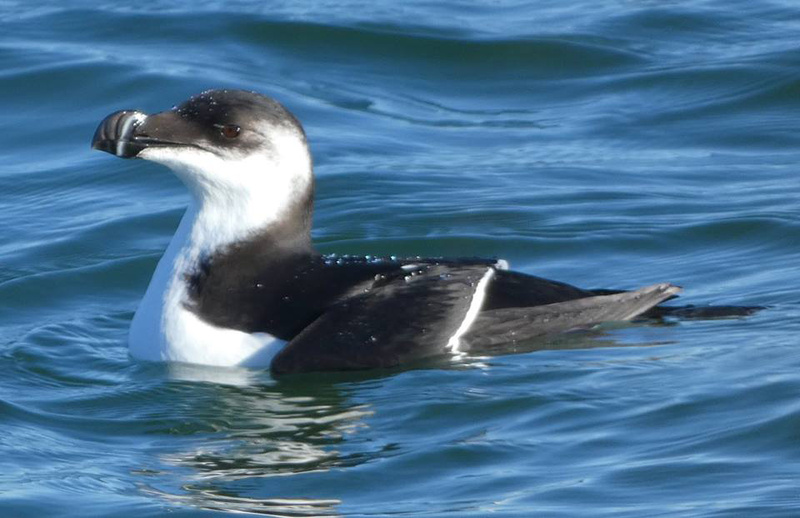 Mary Ellen spotted a razorbill - a member of the auk family - at Castle Island today. Was walking around Jamaica Pond this afternoon, when I spotted this bird glide down to a perch on one of the trees on the Parkman Drive side. 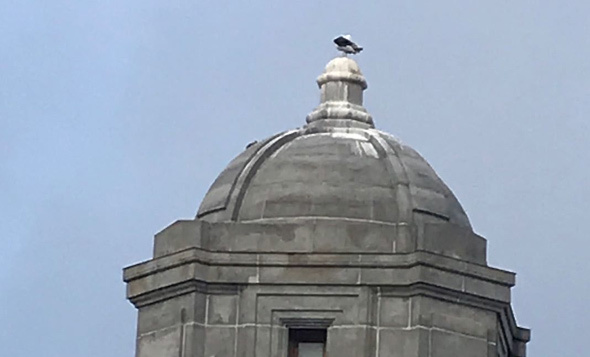 Hawk? 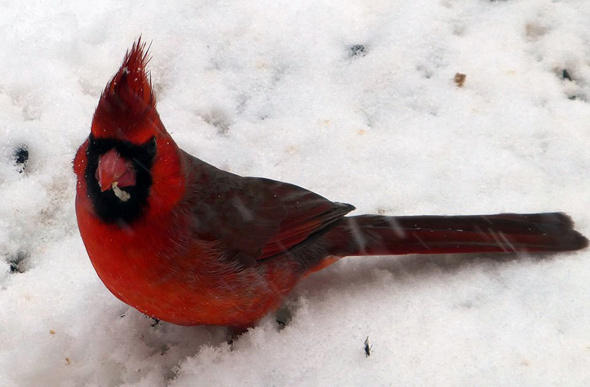 And should I finally figure out how to manually focus my camera lens because the auto-focus kept zeroing in on the branches in front of the bird? The answer to the latter question, of course, is: Yes. 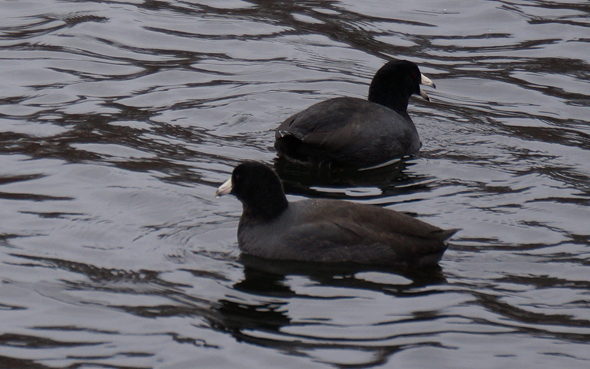 Several coots have made their late-fall arrival at Jamaica Pond - looking like ducks in the water, and sort of chickens on land, except for their feet, which look like, well, nothing you'd expect. 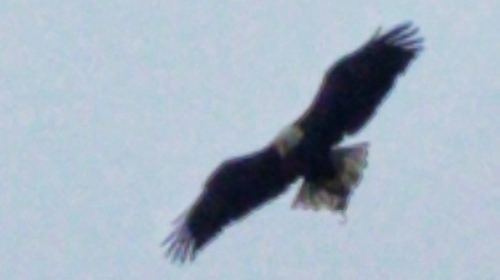 Clay Harper looked up this afternoon and spotted an eagle over Scarboro Pond in Franklin Park. 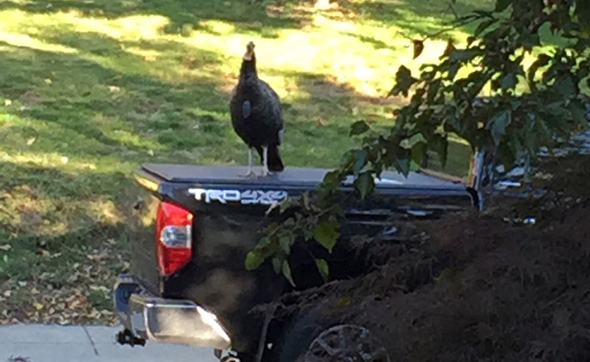 A fed-up citizen managed to get to a safe space to file a 311 complaint about a turkey that has mistaken Ashmont Street in Dorchester for Brookline: Read more. 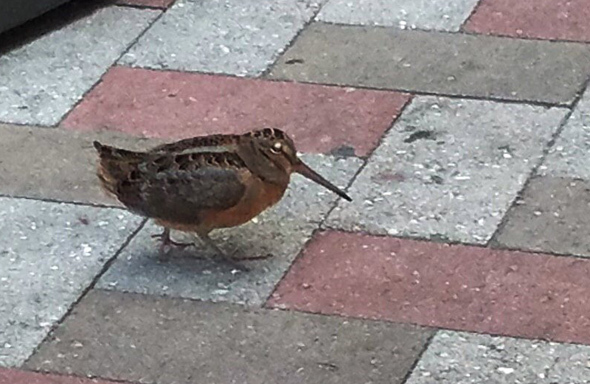 Tim Hanafin spotted this woodcock on Water Street this morning. 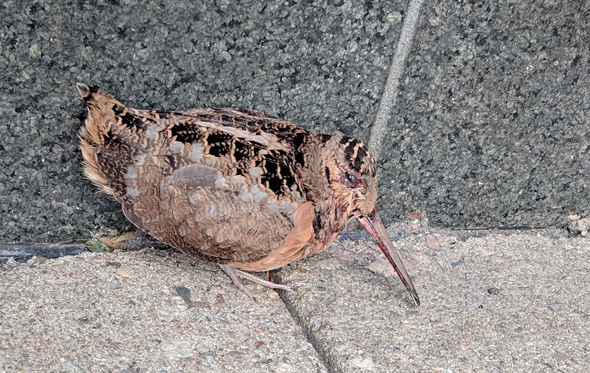 Reports are now coming in of woodcocks all over Boston Proper (dear reader: we spared you a photo of a poor, dead woodcock in Fort Point). Read more. 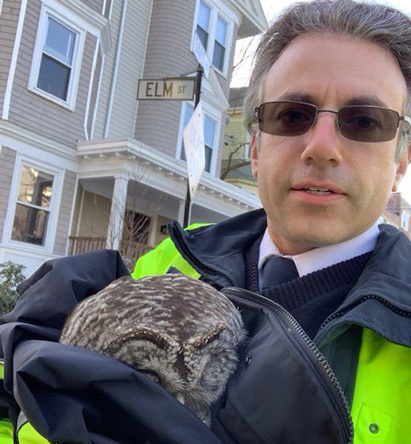 The Garden Club of the Back Bay reports the rescue of a woodcock on Arlington Street. Same one spotted downtown yesterday? How many woodcocks could there be flitting around Boston Proper? Read more. Erik Hjortsho has posted video from his doorcam showing a hawk swooping in and grabbing the pigeon that had been resting above his door. 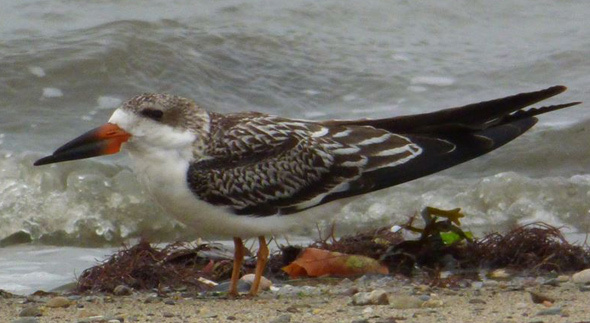 Mary Ellen spotted this black skimmer at Wollaston Beach in Quincy. 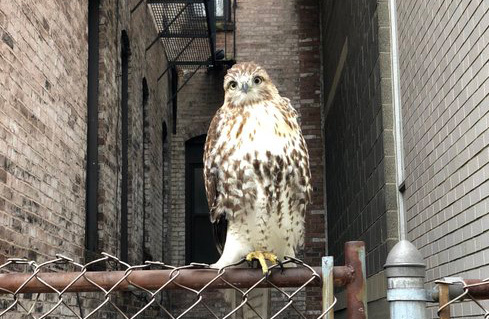 Maddie Yardley spotted this fine feathered specimen today on Cumberland Street behind the Midtown Hotel. 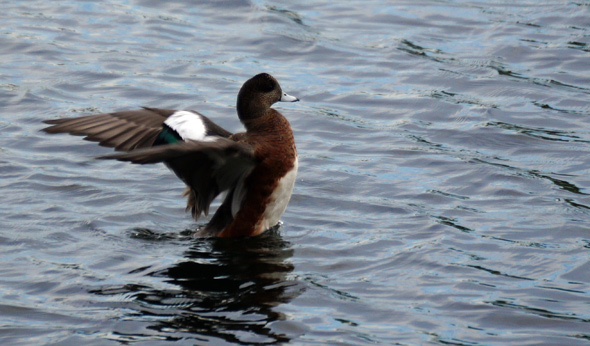 This female American wigeon decided to hang with all the mallards on the north side of Jamaica Pond this afternoon, but acting a bit more skittish than her larger ducky friends. At one point, a bunch of them took off all of a sudden and she departed with them - before they all splashed down again about halfway down the pond. 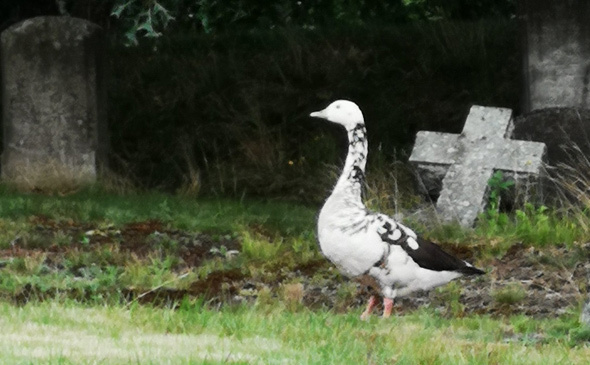 Scott Tetreault spotted this unusual goose at Mount Hope Cemetery in Roslindale yesterday. 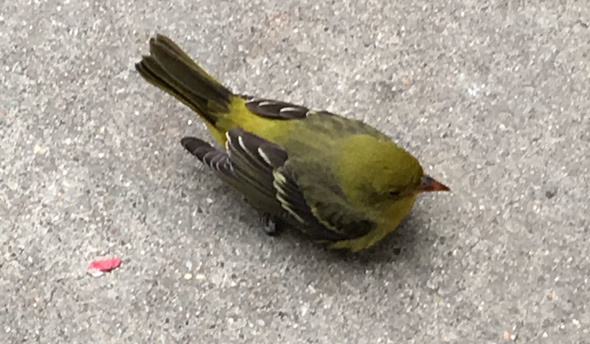 Roving reporter Christine April spotted this bird hurrying into the polling place at the Harvard Graduate School of Design this morning, only to slowly walk away with a dejected look after learning she'd have to return on Sept. 4 to vote. Read more.